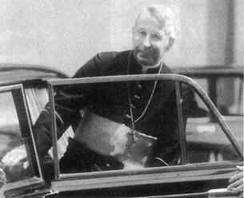 Il Servizio Petrino: JOHN PAUL I - A life in pictures! 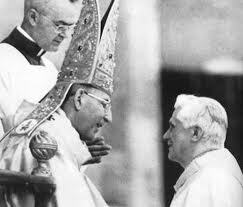 "Personally, when I speak alone with God and the Virgin, more than adult I prefer to feel young. 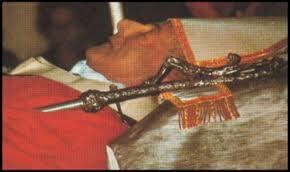 The mitre, the skull cap, the ring disappear, I send on holidays the adult and also the bishop to be abondoned to the spontaneous tenderness that a boy has infront of Dad and Mum. 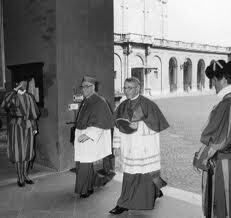 The rosary, a simple and easy prayer as well, helps me to be a child and I am not ashamed of it, at all"
Standing on the left, Albino Luciani's mother, Bortola Tancon and his father Giovanni. 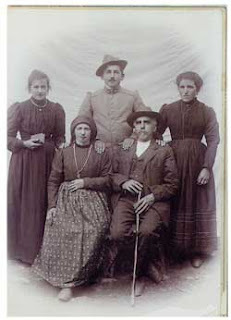 Seated his maternal grandparents. 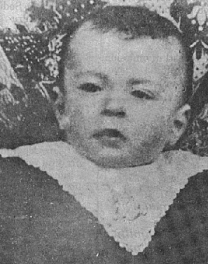 Albino Luciani as a little child. 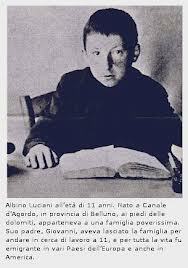 Albino Luciani at approximately the age of 10 sitting at a table reading a book. 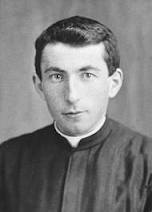 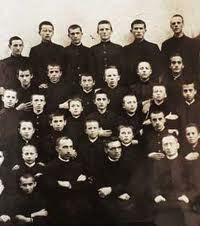 Don Albino Luciani: A very young priest. 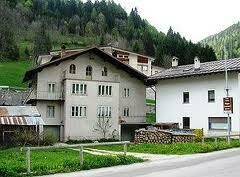 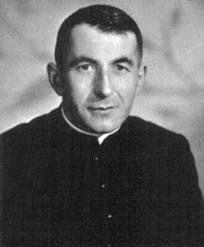 In 1937 Don Albino Luciani was appointed Vice-Rector of the diocesan seminary in Belluno. 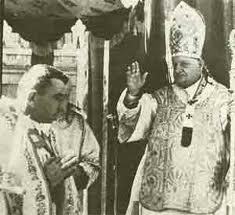 27th December 1958: Albino Luciani being ordained bishop by His Holiness Pope John XXIII. 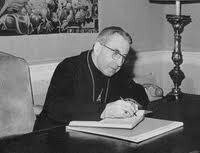 The Patriarch while writing "Illustrissimi". 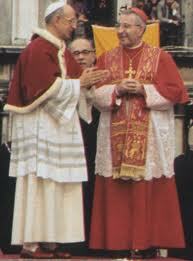 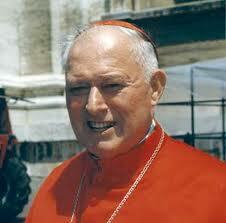 Paul VI created him a cardinal of the title of San Marco on March 5th, 1973. 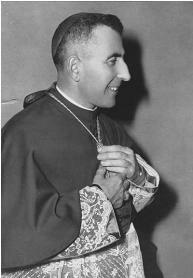 He was the first prelate on the list of that concistory. 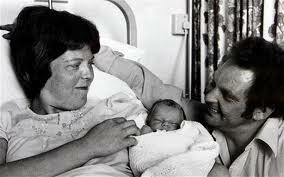 1st August 1978: He congratulated the parents of Louise Brown, the first test tube baby. 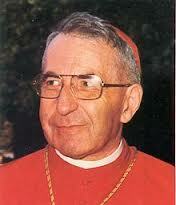 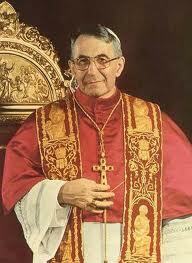 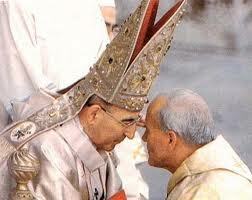 He took the name of John Paul I - The first Pope that had two names. 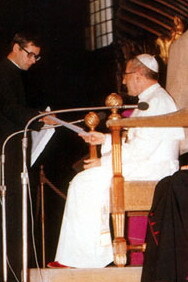 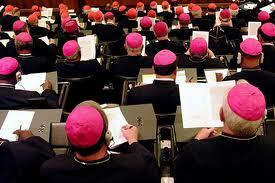 Throughout his short pontificate he was assisted by Don Diego Lorenzi as his 'Segretario Particolare'. 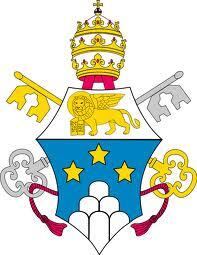 Vicar for the Universal Church. 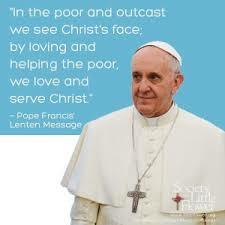 we want to learn to serve everyone who needs us. 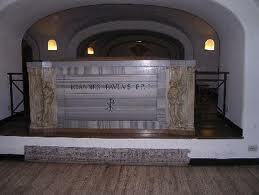 The light and love that radiate from You.